For the great Scotland Homecoming 2014, I visited Glasgow, Scotland’s largest city, and Edinburgh, its stately capital, then joined Rabbie’s Trail Burners on the five-day “Highlands Explorer” tour in a sleek white Mercedes-Benz minivan. I was hell-bent on discovering the world of my maternal great-grandfather, Benjamin Franklin Mason, an almost heroic figure who emigrated from Scotland to Virginia in the late-1800s, raised a large multicultural family, and became a prosperous landowner and businessman. In the Highlands, where my great-grandfather’s sisters once posed for a photograph on the moors, I discovered a wild and beautiful realm where real-life heroes like William Wallace, immortalized in the film “Braveheart,” and Rob Roy Macgregor, celebrated in the movie “Rob Roy,” raised their families in an almost surreal setting of endless moorlands, crystalline lochs, and mountains etched by burns, or rushing rivulets, which, incidentally, are what gave my father’s Scotch-Irish family their name. Along with our driver, Ross, his co-pilot Emily, and six fellow travelers, I was bound for the Isle of Skye, in the Inner Hebrides, just off Scotland’s west coast. Shaped like a butterfly’s wings or, maybe, a lobster, Skye is a sublime microcosm of the Highlands with wild moors and green glens, narrow lochs and coursing rivers, towering mountains and fantastic rock formations. Heading southwest along the 200-foot-deep Corrieshalloch Gorge, then along a narrow mountain road toward Torridon, we passed red-sandstone beaches, and sparse groves of Caledonian pines, whose gnarled trunks and umbrella-like clusters of needles look almost Japanese. Centuries ago, thousands of native Caledonian pines were cut down in the Highlands, and logging companies are supplanting them with fast-growing Sitka spruce from Alaska and the Pacific Northwest. But the Highlands are also being reforested with native Caledonian pines. In another century, when my descendants visit Scotland, they likely will see the kind of dense Caledonian-pine forests, frequented by elk, reindeer and wild boar, that William Wallace, Rob Roy Macgregor and possibly even my great-grandfather knew. Driving south from the Northwest Highlands, we soon reached Shieldaig, a tiny town whose Norse name means “Bay of the Herrings.” After coffee and tea at the Rivendell Guest House, we headed toward Applecross. A herd of red and blond Highland cows soon swam into view, and, now thoroughly besotted with the big furry beasts, we leapt from the van to snap photos. A big whitewashed house with black trim overlooking a vast red-sandstone beach, the Applecross Inn, with its flickering peat stove, is renowned for seafood—fish pie with haddock and smoked salmon, prawns, scallops and mussels—as well as steak, venison and green curries. On the east coast, in Portree, Skye’s largest town, some of us checked into bed-and-breakfast inns, others into hotels. I choose the four-star Cuillin Hills Hotel, the Macdonald Clan’s former 1880s hunting lodge. The cream-colored manor commands a 15-acre hilltop graced with palm trees overlooking the idyllic Bay of Portree. There’s a large salon with a fireplace, a spacious breakfast room and a gourmet dining room. Most rooms, some with fireplaces and four-poster beds, overlook the boat-filled harbor, and the distant Cuillin Hills, the rugged Black Cuillins and the gentler Red Cuillins. We might have browsed through the island’s pottery shops, or headed southwest to the Talisker Distillery to learn about single-malt Scotch whiskey. But we were an outdoorsy group, and since Rabbie’s tours are like informal family outings, Ross and Emily were happy to oblige us. From Portree, a winding road led west past Loch Snizort, lined with typical Skye houses of whitewashed stone with black slate roofs, to Dunvegan Castle, which the Macleod chiefs have occupied for 800 years. In 1773, Boswell and Johnson visited Dunvegan, and, in 1814, Sir Walter Scott came. Inside is the famed Fairy Flag, a magical, if tattered, yellow-silk banner that the Macleods took into battle. Here, too, is the Dunvegan Cup given to Macleod chief Sir Rory Mor for supporting the O’Neils of Ulster in their war against Queen Elizabeth I in 1596. There’s the Amen Glass, given to Donald Macleod by Bonnie Prince Charlie for ferrying him to Skye, and a lock of the prince’s hair from Flora Macdonald, who also helped him escape. The elephant tusk was a gift from the famous 19th-century hunter Arthur Henry Neumann. In summer, the Macleods run boat trips across Loch Dunvegan to nearby isles where Atlantic gray seals bask. Rising on Skye’s westernmost peninsula is Neist Point, a massive rock formation that resembles the prow of a gigantic ocean liner pointed into the wave-struck waters of Moonen Bay, which leads to the Little Minch separating Skye from the Outer Hebrides. We climbed down what seemed like a hundred steps to the lighthouse, then up the mount’s gentle slope to its velvety green, mesa-like summit for stunning vistas of the coast and rocky headlands. Backtracking east, we arrived on the rugged coast just as a rainbow broke over the Sound of Raasay. Veiled in the mists was the Old Man of Storr, a volcanic rock formation steps from the Storr Hoard, a 10th-century Viking treasure trove discovered in 1890. 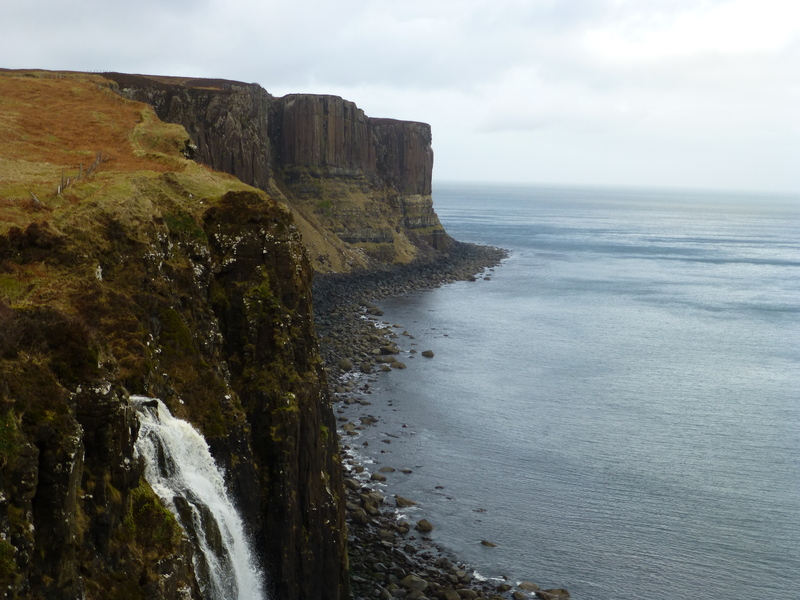 Farther north, near a spot where dinosaurs once roamed, the stony pleats of Kilt Rock loomed high above roiling waters. 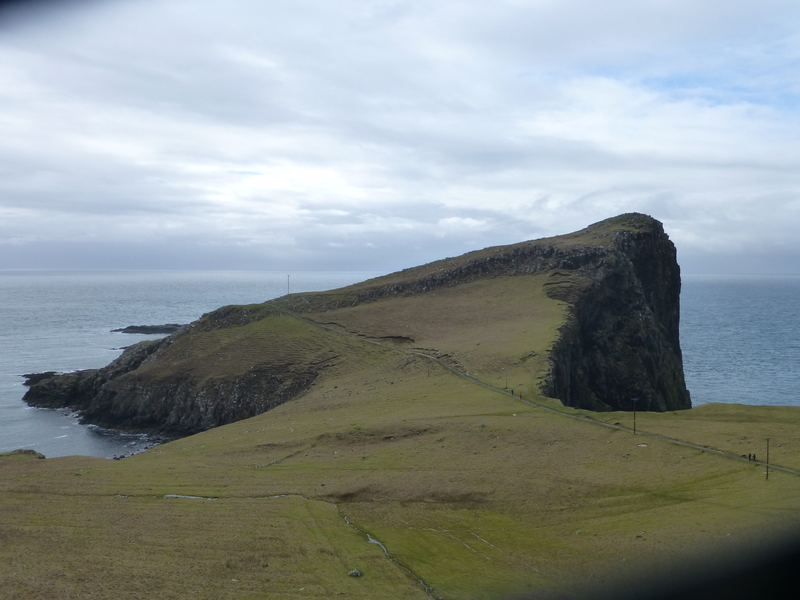 Crossing east through the jagged peaks and pinnacles of the Quirang, we continued inland toward Uig. In Fairy Glen, sheep grazed in an impossibly green dell of moorlands and blanket bogs shaded by Caledonian pines, and covered with sphagnum moss, tussocks of deer grass, and dwarf blaeberry, crowberry and bearberry shrubs. Back in Portree that evening, I joined my schoolteacher pal for a dinner of steamed mussels and locally-made beer at The Lower Deck, a cozy harborfront restaurant decorated with nautical maps. 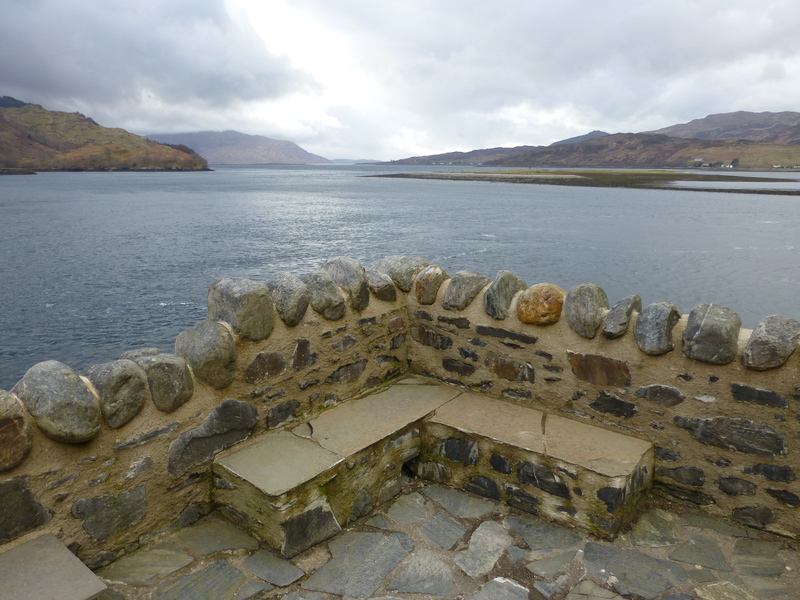 The next morning, we headed southeast from Skye, stopping to see 13th-century Eilean Donan Castle at the confluence of three mighty sea lochs, Loch Long, Loch Duich and Loch Alsh. Nearby were the Five Sisters of Kintail, one of Scotland’s longest ridge walks. Legend has it that a dwarf promised to turn a Highland chief’s four plain daughters into fair maidens if only he could marry the youngest and prettiest daughter. But when the chief married them all off to others, the enraged dwarf turned the sisters into a mountain range. Traveling through Glen Shiel, we soon crossed the Great Glen, Glen Mor, a chain of lochs running 60 miles north from Loch Linnhe to Loch Ness. At Loch Lochy, the Frasers and Macdonalds fought the 1544 “Battle of the Shirts” on a day so hot that they took off their kilts. At the nearby Commando Memorial, we paid tribute to the latter-day elite units that Churchill formed during World War II. After shopping at Spean Bridge for Scotch whisky, homemade soaps and thistle-engraved Burns Crystal, we backtracked south and continued through Glen Nevis, where scenes from “Braveheart” were shot. At last, we reached Glencoe, known as the “Weeping Glen.” On February 13, 1692, the Campbells murdered their hosts, the Macdonalds, breaching the Highland code of hospitality. Thirty-eight men were killed, and another 40 women and children perished in the snowdrifts. A towering Celtic cross honors the dead, many buried on an island in Loch Leven. Pretty as Glencoe is, when winter mists descend, visitors report seeing ghosts and hearing blood-curdling screams. Old feuds die hard in the Highlands. 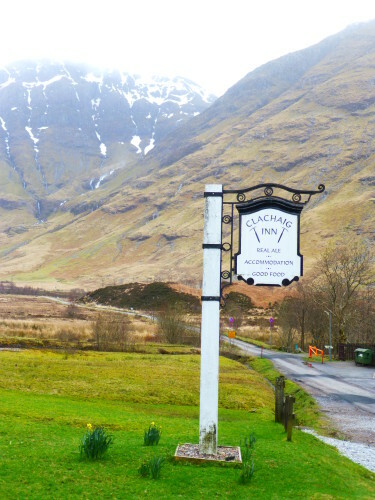 For years, the Clachaig Inn, popular with both rock climbers and technical climbers, posted the sign, “No Hawkers or Campbells.” With nary a Campbell among us, we enjoyed soup and sandwiches at the inn, then continued south, passing 50-square-mile Rannoch Moor, a wilderness of mountains, moors and lochs. From there, it was 30 miles south to Stirling, site of the 12th century castle, and the Battle of Stirling Bridge, where William Wallace and the Highlanders routed the English in 1297, a feat recalled at the nearby National Wallace Monument. Also nearby is Bannockburn, where Robert the Bruce vanquished the English in 1314. A 45-minute drive took me to Edinburgh, and a night at The George, a swanky four-star hotel with luxurious rooms, an elegant restaurant called Tempus, and a gracious lobby manned by bellmen in trendy pinstriped kilts. As lovely as the George was, I could not leave Edinburgh without spending a final night at the city’s grande dame, The Balmoral. It was a wise choice. The next morning, I enjoyed the perfect climax to my Scotland Homecoming. 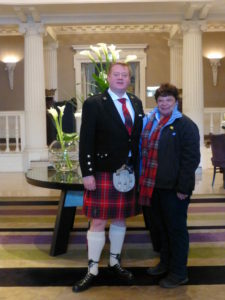 At The Balmoral in Edinburgh, Senior Concierge Andy Fraser, the hotel’s Tartan Butler, bids farewell to the author, and to her clans, the Masons and Burnses. 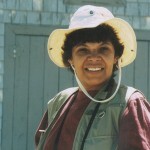 Photo Monique Burns. Cheering for Chili: In Metro Denver Some Like It Hot (or Not)!